It might sound like a motherhood statement, but CRM really isn’t about deploying a platform, it’s about driving new business outcomes through better customer communications and engagement, Austrade’s CRM leader claims. 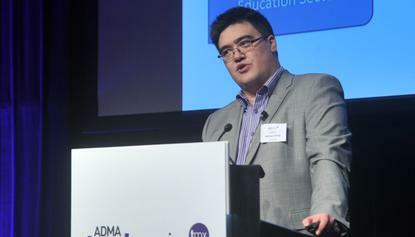 The Australian trade and export body’s CRM project manager, Michael Wong, told ADMA Techmix attendees last week that too many organisations discuss CRM in terms of platforms and technology. Instead, he positioned CRM as the foundation of engagement, and the ultimate business and customer face-off. “The most important outcome for a CRM program is the one between your business and the customer,” he said. While organisations are looking to sell more products or services, for example, customers want a solution and to see value, Wong said. “You want them to engage more with your platforms, whereas customers just want to engage as a human and on their terms,” he said. “You want data – lots of it – and the customer wants privacy. Wong identified four stakeholders in any ‘CRM’ program, the first being the customer. “They’re looking for a solution and they need to be satisfied about the relationship they’re forming with your organisation is on their terms,” he said. “It’s also about the organisation you work for. They want to have the outcome of ROI, and they need to be satisfied they’ve made the right investment in the first place. Wong is currently CRM project lead at Austrade, and has experience in digital and marketing operations at Hotfrog, Fairfax Digital and HP. With a focus on four sectors of exports, international business development and marketing teams in 83 offices, and a huge array of business events, webinars, social activities and consulate support programs, he described the job of rolling out a new CRM technology and approach at Australia as incredibly complex. While unable to talk specifics about Austrade’s CRM environment, Wong said there were three learnings that could assist organisations going through the same process. According to Wong, CRM is about managing a series of touchpoints with the customer to create and maintain a relationship. These include websites, email, social customer service and support, point of sale and events. For Wong, putting data at the core of a CRM program gives organisation the who (customer segments and leads), what (goods or services), when (touchpoint preferences), where (where a customer is in terms of the sales funnel) and why (the business context). What CRM doesn’t really cover is the ‘how’ in optimising engagement. For that, organisations need a good understanding of content, design and user experience, Wong said. “If you get the ‘how’ wrong, every single investment you’ve taken [in CRM] will be wasted,” he warned. At Austrade, reporting functions in Microsoft Dynamics, along with quantifying and qualifying data, best practices in copywriting and email layout, and human decision making, were all employed to optimise email campaigns, Wong said. As a result of these efforts, he said clickthrough rates increased by 30 per cent, open rates increased by 13 per cent, and conversions lifted by 16 per cent. “CRM has all been about technology and the platform but you have to start thinking about it as a communications channel,” Wong added.